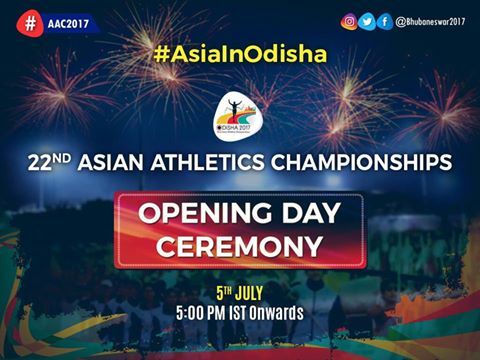 Bhubaneswar: Odisha Capital Bhubaneswar decked up for the inaugural function of 22nd Asian Athletic Championships (AAC) today . 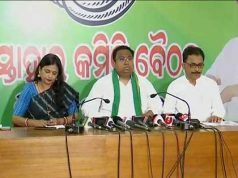 About 800 athletes representing 44 countries along with more than 300 officials from various sports bodies will participate in this largest sporting event Odisha is organising at the Kalinga Stadium. 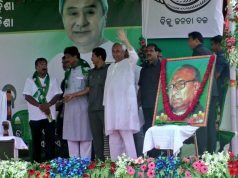 The inaugural ceremony will be graced by Chief Minister Naveen Patnaik and other dignitaries. Sebastian Coe, President, International Association of Athletic Federations, who set eight outdoor and three indoor world records in middle distance track events, Dahlan Al-Hamad, President, Asian Athletic Association, Adille Sumariwalla, President Athletic Federation of India, CK Valson, Secretary, AFI, other office bearers of various Athletic Associations of Asia, distinguished athletes including PT Usha have also reached to attend the mega event. There will be 42 track and field events with 20 world champions likely to participate. Olly, the 22nd AAC official mascot, has been welcomed at different places. 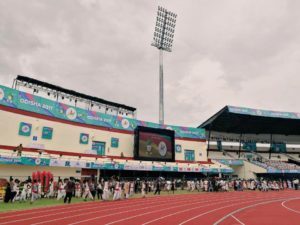 The multipurpose Kalinga Stadium has been transformed into a world-class track and field facility adhering to the norms of the International Association of Athletic Federation within a record period of 90 days. 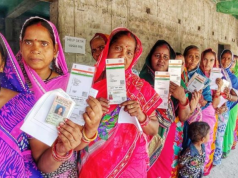 About 500 volunteers have been mobilised from different colleges, medical and management institutes, besides sports-specific volunteers. A Media Cell is being operated by the Information & Public Relations Department to disseminate information. Sports journalists can contact with the telephone no-7609828179 when necessary. The opening ceremony will have a cultural extravaganza. The Prince Dance Group and the Odisha Dance Academy will present their programmes while artists from other countries will also perform. Internationally-acclaimed sand artist Sudarshan Pattnaik will showcase Odisha’s rich art and culture through his sculpture of famous athletes of the world using nine tonnes of sand.